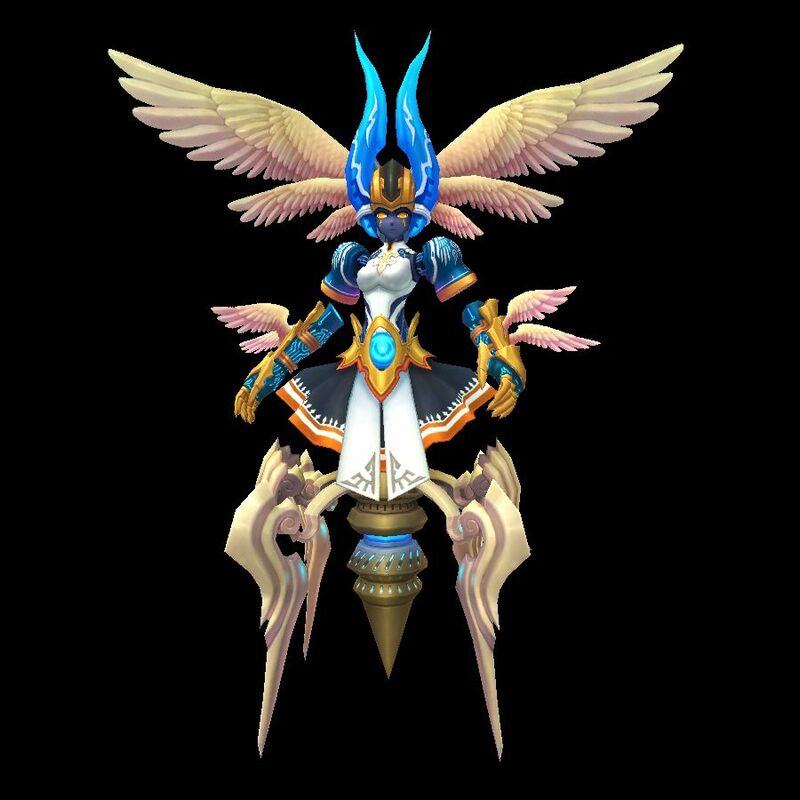 A potentate who travels between the Aura Kingdom and the mortal realm, Nalani weighs justice and mercy, meting out judgment on humans and spirits, both living and dead. She is adept at harnessing the full might of holy energy, and foes quake at her radiant light. Nalani speaks the hidden scriptures with a ringing voice, dealing Holy damage to the enemy. Lotus flowers bloom around Nalani, dispersing waves of pure energy that grant health regeneration to allies within range. Nalani elevates herself above worldly cares, spreading her profound insight to party members to increase their SPD. 3rd-Star evolution is not available for this eidolon.